Zexum high quality Copper Coated Steel Telephone cable. Plain annealed high quality stranded copper conductor both Insulated and Sheathed with PVC. General purpose PVC telephone cable suitable for use in internal Telephone Systems and other communication equipment. This cable offers an extremely cost effective signal cable for fixed installation. 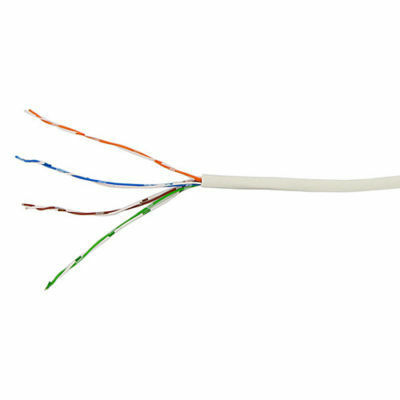 This cable is suitable for creating additional Telephone Outlet Points and Telephone Extensions. Can be used with our RJ11 Crimp on Ends.